"Wine Spectator" has rated the wine "Weingut Prager Hollerin Riesling Smaragd, Wachau, Austria" from the vintage 2008 on 30.04.2010 with 90 of 100 points. "Falstaff Magazin" has rated the wine "Weingut Prager Hollerin Riesling Smaragd, Wachau, Austria" from the vintage 2008 on 02.07.2009 with 92 - 94 of 100 points. "Wine & Spirits Magazine" has rated the wine "Weingut Prager Hollerin Riesling Smaragd, Wachau, Austria" from the vintage 2006 on 01.04.2008 with 90 of 100 points. "Wine Spectator" has rated the wine "Weingut Prager Hollerin Riesling Smaragd, Wachau, Austria" from the vintage 2005 on 31.05.2007 with 90 of 100 points. "Wine Spectator" has rated the wine "Weingut Prager Hollerin Riesling Smaragd, Wachau, Austria" from the vintage 2004 on 15.06.2006 with 90 of 100 points. "Wine & Spirits Magazine" has rated the wine "Weingut Prager Hollerin Riesling Smaragd, Wachau, Austria" from the vintage 2003 on 01.04.2006 with 88 of 100 points. "Wine Enthusiast" has rated the wine "Weingut Prager Hollerin Riesling Smaragd, Wachau, Austria" from the vintage 2004 on 08.01.2006 with 89 of 100 points. "Wine Spectator" has rated the wine "Weingut Prager Hollerin Riesling Smaragd, Wachau, Austria" from the vintage 2003 on 15.05.2005 with 90 of 100 points. "Wine Spectator" has rated the wine "Weingut Prager Hollerin Riesling Smaragd, Wachau, Austria" from the vintage 1999 on 31.03.2001 with 90 of 100 points. "Stephen Tanzer" has rated the wine "Weingut Prager Hollerin Riesling Smaragd, Wachau, Austria" from the vintage 2007 with 93 of 100 points. "Stephen Tanzer" has rated the wine "Weingut Prager Hollerin Riesling Smaragd, Wachau, Austria" from the vintage 2008 with 92 of 100 points. 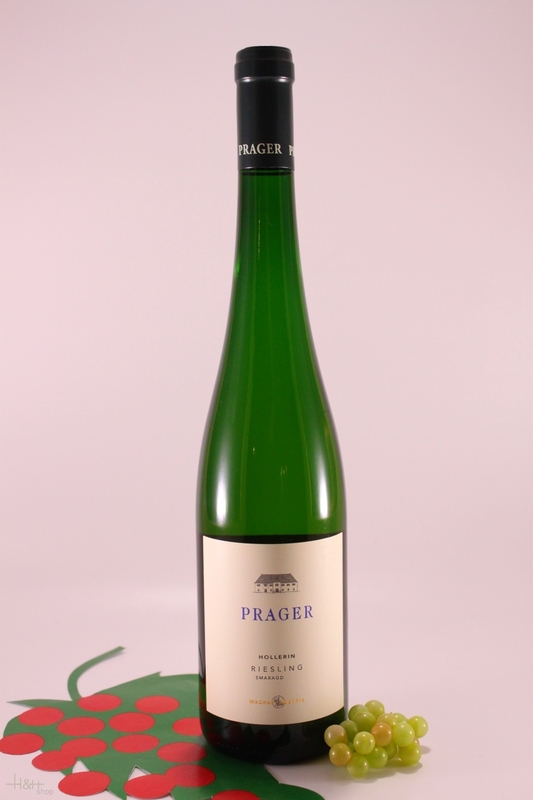 "CellarTracker" has rated the wine "Weingut Prager Hollerin Riesling Smaragd, Wachau, Austria" from the vintage 2007 with 91 of 100 points. "Stephen Tanzer" has rated the wine "Weingut Prager Hollerin Riesling Smaragd, Wachau, Austria" from the vintage 2006 with 91 of 100 points. "Stephen Tanzer" has rated the wine "Weingut Prager Hollerin Riesling Smaragd, Wachau, Austria" from the vintage 2005 with 91 of 100 points. 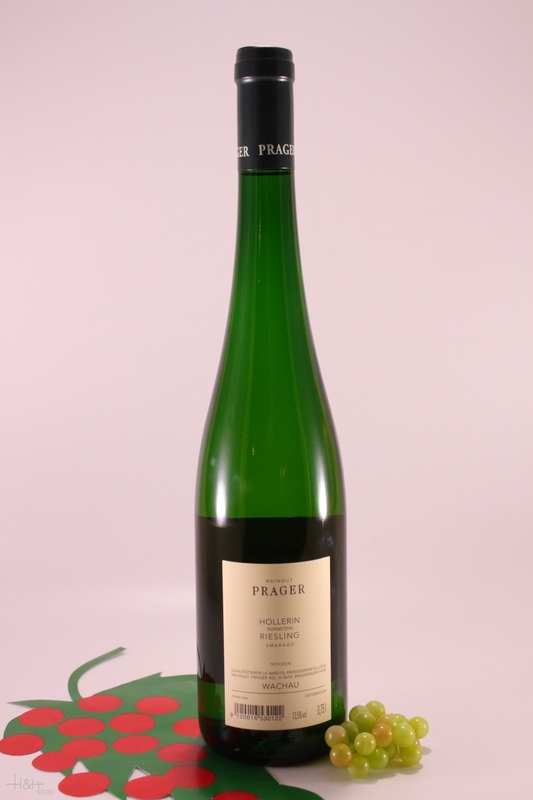 "CellarTracker" has rated the wine "Weingut Prager Hollerin Riesling Smaragd, Wachau, Austria" from the vintage 2000 with 90 of 100 points. "Stephen Tanzer" has rated the wine "Weingut Prager Hollerin Riesling Smaragd, Wachau, Austria" from the vintage 2004 with 90 of 100 points.